after watching the cheesiest video ever, watch the making of video as well. Great stuff. 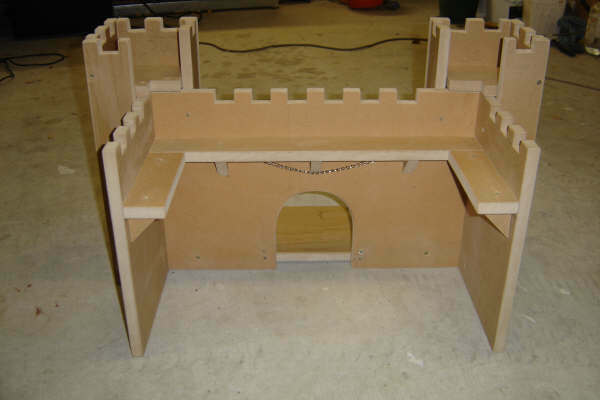 For the last three weeks I have been building a castle for Jacob’s birthday (Friday 30 June). I’ve attached some pictures of it been built. 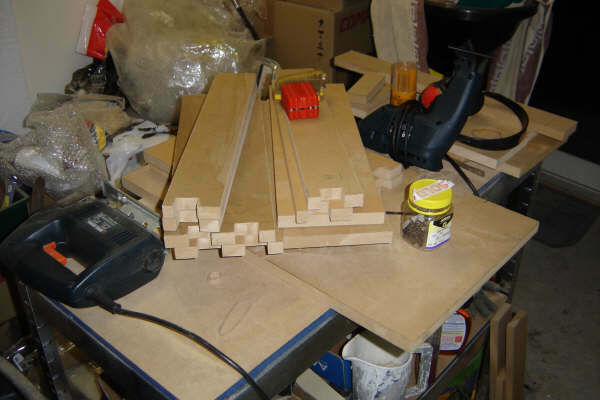 First photo is after cutting the wood with a cross cut saw, then jig sawing the battlement gaps out. This took one morning and two evening’s to-do. Second picture is on the cut-out part from step one standing together, held with rubber bands. 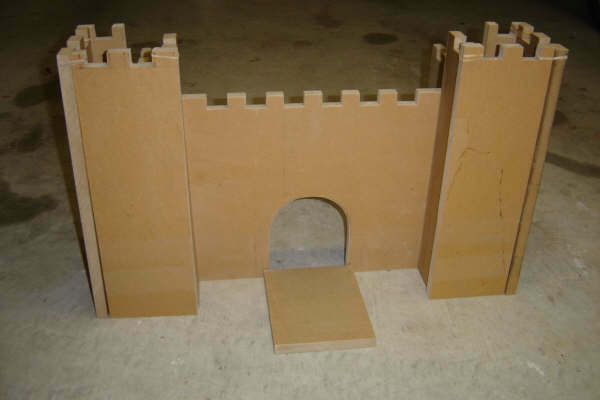 Third and Fourth pictures are of the gateway cut out, and the edges & battlement sanded. 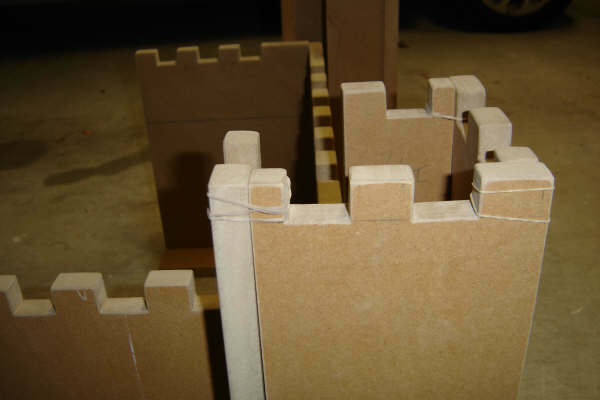 This took two more evenings’ to-do, but the finish, made the castle look and feel much nicer. Even with it being raw MDF. 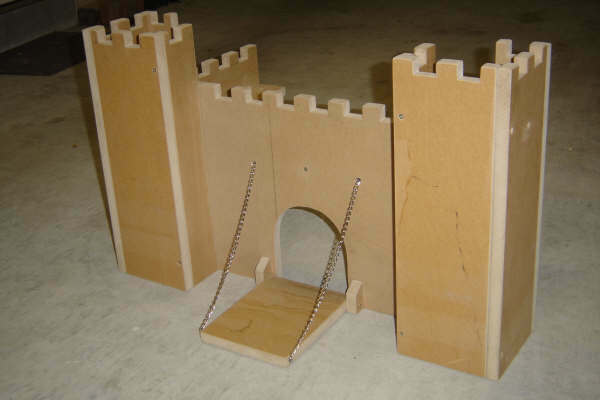 Fifth pictures are after the castle has been screwed together and the drawbridge chain has been added. This took two evenings also. Three drills would have speed it up over two as changing the screw driver bit for the counter sink bit wasted time. 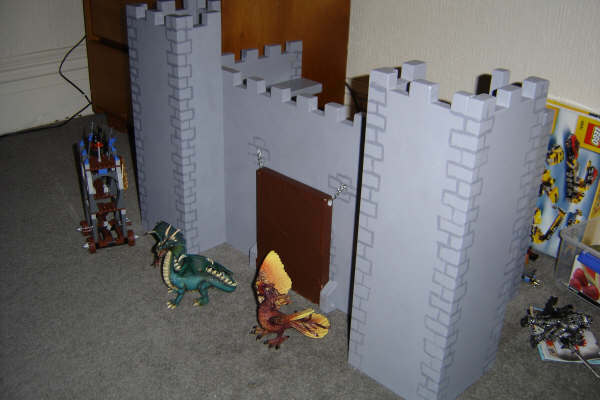 The last photo is the completed castle is Jacob’s rooms. Michaela did three sessions of painting. A sealant was used on all the cut edges of the MDF, a white primer, putty filling of the screw holes and lastly the colour coat. I then painted the darker grey brick work. Once all the new Lego had been built, the castle has been enjoyed thoroughly.